May 4, 2018, 11:20 AM · Welcome to "For the Record," Violinist.com's weekly roundup of new releases of recordings by violinists, violists, cellists and other classical musicians. We hope it helps you keep track of your favorite artists, as well as find some new ones to add to your listening! 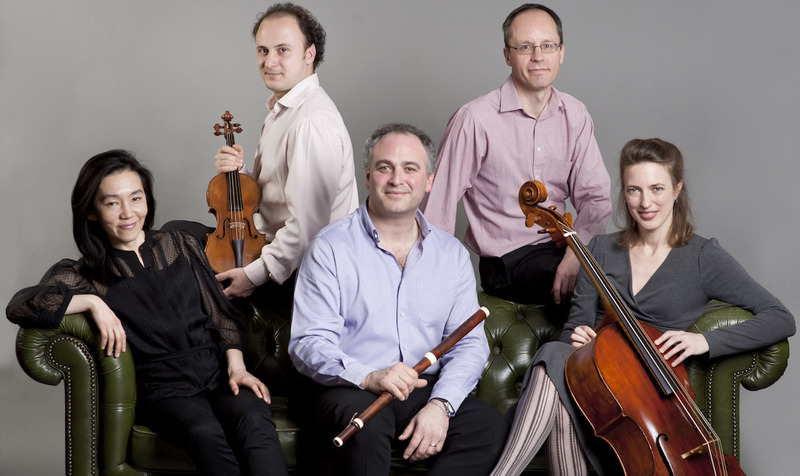 The London-based period instrument ensemble, Florilegium. Photo by Amit Lennon. Florilegium is a period instrument ensemble founded in 1991 and based in Britain. This two-disc collection features eleven of the twenty-four works from Telemann's Essercizii Musici. This selection of solo sonatas and trio sonatas offers the listener an insight into the different styles and instrumental combinations that make up Telemann's unique soundscape and ensure his music is immediately recognizable. BELOW: Excerpts from the album. This recording takes a more modern than period approach to these six sonatas, opting for a modern piano rather than a harpsichord or fortepiano. May 5, 2018 at 12:01 AM · You mean Telemann wrote other music besides a viola concerto? All kidding aside, I really like his music. Listening to it makes me feel happy and joyous. May 5, 2018 at 04:15 AM · Hah! Karen, yes he did, but I can see why you might be a bit single-minded about Telemann lately!